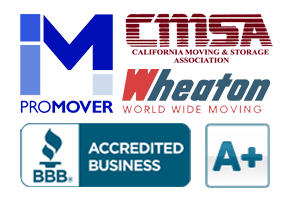 What To Do 2 Week Before Moving | Moving Tips | Cummings Moving Co.
Make all final packing decisions and call for help from your mover or friends NOW. Make sure you have checked with your moving company regarding the transport of non-toxic/non-flammable fluids. Each company has its own guidelines and the answer may depend on expected temperatures and how long items will be on the truck. Find out now. If your mover is going to transport your things like your lawn mower, snow blower, power tools and the like, all equipment will need to be completely drained of ALL oil and gasoline. When in doubt, ask your mover. Follow-up with your utility companies on both ends of your move. Make sure everything is on target for disconnection and connection just ahead of the day you move in. If you have a way to confirm actual activation of critical services like gas and electric ahead of time that is best. There are few things worse than arriving to a cold, dark house, late on a Saturday night when nothing can be done until Monday morning. Plan for success! Take your car in for a road-trip check-up. Check the heat, AC, tires, get an oil change and anything else that would make sure your car has a great trip too. Start a shopping list of the first things you need to buy at the grocery store and home improvement store as soon as you get the truck unloaded at your new home. Keep this in your “Open First Box” or in your Moving Binder. Make extra sure you have all the keys you need and extras on hand. Think car, house, apartment, storage, filing cabinet, lock box, etc. – keep them in a safe, easy to access place. Make sure you have proof from your cable company that you returned your equipment. Make sure all your prescriptions have been transferred successfully to that pharmacy near your new home. Make certain all your bank related things are handled and that you know the location of the branch office and ATM near your new home. Back up ALL computer files onto online back-up service AND disc or external hard-drive that you transport separate from your computer. Remember to be mindful of extreme temperatures when deciding how to transport the backup data. Take inventory the things you plan to take with you in the car to make sure you have space for everything. Better to know now while there is time to make other arrangements. Go through your attic, basement, crawl-space, closets, under the beds and behind furniture. Check the garage, the rafters, all the nooks and crannies of your home and storage spots to see if you have missed anything that needs packing.